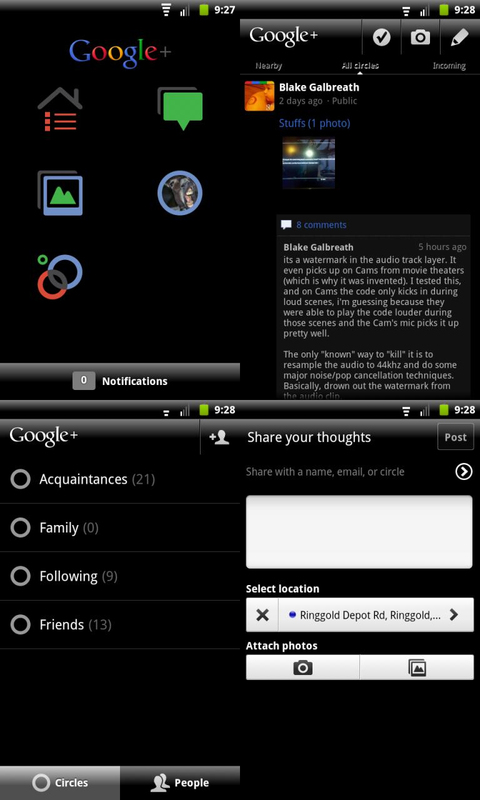 If the blacked out Dropbox application we covered earlier has left you wanting more dark themed goodness, XDA forum member ecsnead69 has released a similarly themed Google+ APK. As part of his ever expanding Blacked Out series, this themed application gives the app a sleek new look. This version is 98% complete, I have two smali edits that I need to talk with raidzero about, but I felt it was still ready to release…. If you feel like giving your Google+ a sleek new look, be sure to continue on to the application thread!